It’s the end of a long hard week and you can finally have some time to chill and enjoy the weekend except that the house looks very messy and to be honest you would rather go out for a drink and some food with the girls or catch up with the family instead of tidying up the house. Our modern day hectic lifestyles make it difficult to find the time and motivation to keep the house clean. Additionally, as we grow older we acquire more stuff and probably move into bigger homes. 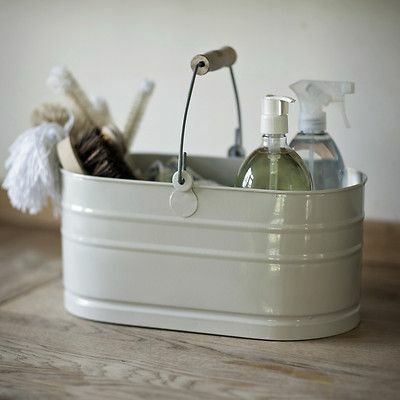 You now have more stuff to clean and more likely to put off house cleaning for another day. 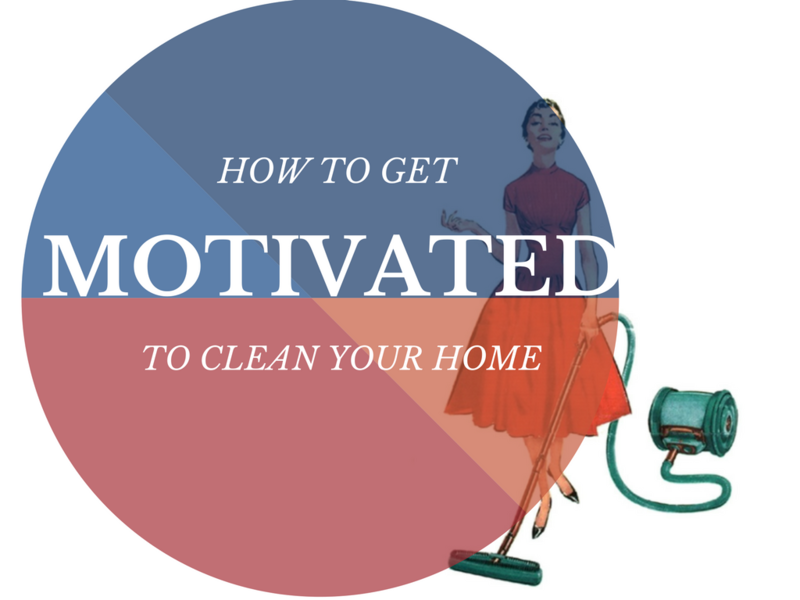 So how do you find the motivation and why is it important to live in a clean home? Other than the fact that a tidy home boosts your mental well being and gives you a sense of satisfaction it also stops you and your family getting sick from airborne diseases or allergens floating around in dusty /dirty environments. Why get ill from something completely avoidable? This step-by-step guide will demonstrate a few tips that will help get you motivated to power through those mundane cleaning chores. Why not stick on some uplifting music whilst you clean? 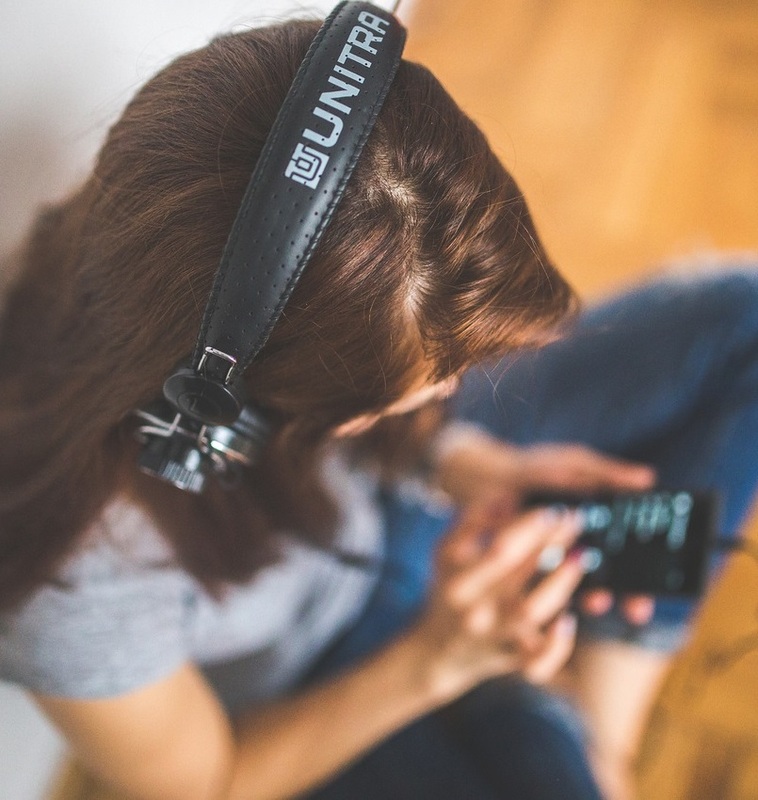 Whether you decide to create an upbeat playlist on your phone, music player or turn on your favourite radio station, music will certainly get you in the mood to blitz the house. A continuous stream of music will distract you from the boredom or demands of cleaning. During a cleaning session my favourite type of music is dance (especially songs from the 90s era). It’s fun and fills me with energy to clean consistently throughout the house occasionally breaking out a few moves along the way! 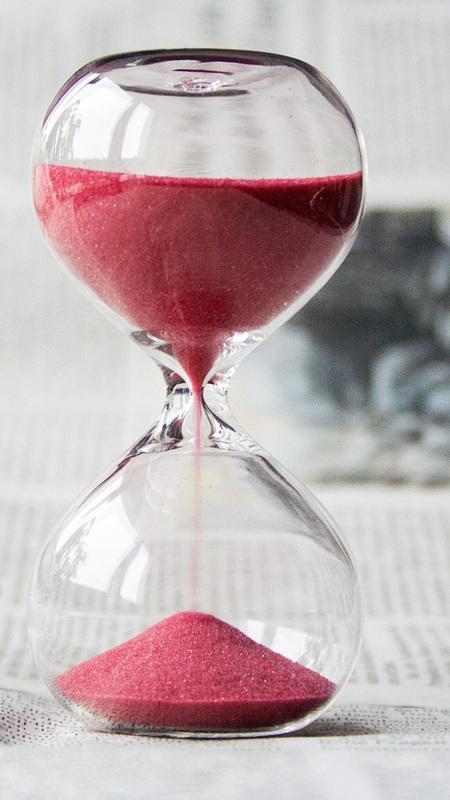 Set a deadline for each task and the overall cleaning activity. This will ensure that you remain focused and not dwell on a single chore for too long. Additionally if you spend too long cleaning, it will feel as though you’re doing it forever and fill you with dread the next time you need to clean; meaning that you’ll be less inclined to do the task. When scheduling your cleaning time it’s a good idea to set the deadline close to an event you’re looking forward to such as, guests visiting you or preparing a big meal or watching your favourite t.v. show. This will keep you focused to complete your cleaning in good time. Before you set out to clean the house make a simple list of the different tasks that you need to do. 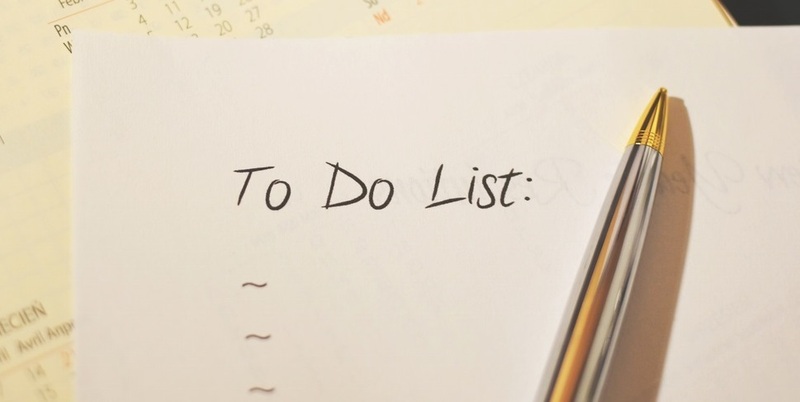 Jot them down or create a to-do list on your phone so you know where to begin and end. Ideally plan to tackle the hardest tasks first so that your workload gets easier as you start to get tired. Start by walking around the house making a note of what needs doing and what tasks will take longer than others. Priority tasks should be the most demanding ones or those that take the longest. Its easier to start off with these whilst you’re full of energy. This will help you to work methodically and save you time in the long run. Cross off tasks as you go along, as silly as it might sound it’s a big motivator and gives you a sense of satisfaction. In my earlier years I never paid much attention to the type of cleaning accessories that I used. A cheap vacuum cleaner, brush, dustpan and cleaning cloth did the job. But what I noticed, as I grew older and moved into a bigger house, was that I was making cleaning chores unnecessarily harder than they needed to be. I upgraded my vacuum cleaner and made sure it included accessories to clean my mattress, upholstery, the stairs, a combination of different floors, carpets and rugs. I also invested in a good steam cleaner which was able to lift stubborn dirt or grease from the oven and clean my windows in minimal time. I normally start off my cleaning by setting the dishwasher and washing machine then leave them to run in the background whilst I continue cleaning the rest of the house. I realised that getting the right tools plays the most important role because you can multitask and work through a variety of chores much easier. If my cleaning day is due in the next few days and I’m lacking the motivation to face the task, I’ll visit a house that I admire. My mum’s house is always immaculate so I try to visit her just before cleaning day because it inspires me to get my house to look the same (and I go see my mum because I miss her of course). Other places you can find inspiration would be house magazines or even social media websites, especially pinterest which always has a good selection of elegant homes. Even though the pictures you see in magazines are staged and edited, you can still get a good sense of how you want your home to look like once it’s clean. As the saying goes- “Many hands make light work”. Cleaning is not exclusively a job for one person. My husband takes longer to warm up to the idea of cleaning up than I do. I usually get him to clean the places he hangs out the most such as the gaming room or his office. I’ll start him off with small tasks and by the time he finishes the easy tasks he is psyched up to tackle the harder jobs. Do you remember when I mentioned earlier how to plan your work, this is another area where you can plan the cleaning day to your advantage and get all the family involved. I usually check out everyone’s schedule for the week and find a quiet day when everyone will be at home and agree who’s doing what. When sharing out cleaning duties I know that people like certain tasks and hate others, so I give them their favourite chores and get less resistance or excuses why they can’t clean. 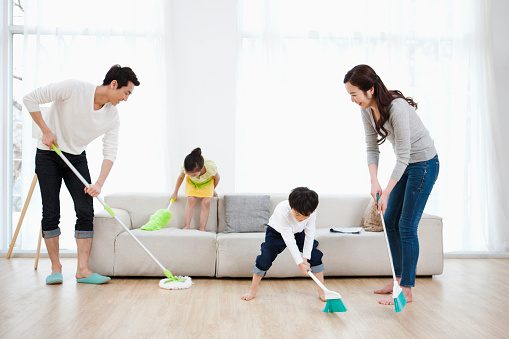 Rewarding yourself (and your family) for the hard work accomplished is one of the best motivator to clean up and do a good job. Remember back in the days at school when you would be rewarded with a golden star for your good behaviour and how it made you feel great inside? The same applies with cleaning. Make sure you have a treat saved up and waiting for you once your chores are done. 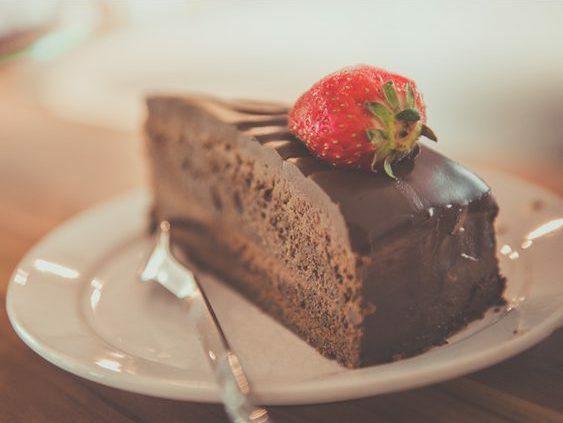 The treat doesn’t necessarily need to be food related although desserts work really well for me. You could go to the cinema afterwards or maybe pop a bottle of sparkling wine. Whatever it is, make sure it’s something that you can really look forward to. Cleaning is demanding and burns calories. Make sure that you fuel your body with the right foods to keep you energised throughout the cleaning session. Recommended foods are porridge oats with almonds (for slow release energy), wholemeal bread and poached eggs. Wash it down with a homemade green smoothie. You’ll feel ready for the challenge ahead and keep hunger away. Get plenty of rest before your cleaning day. It’s not a good idea to go out partying or having a late night the day before. 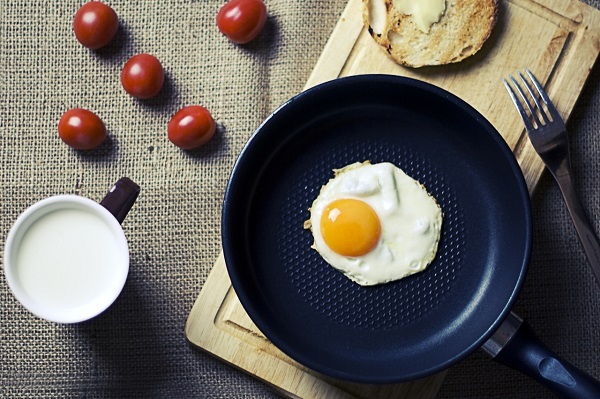 You’ll be grateful to wake up revitalised and feeling energised to take on the most onerous chores; and look forward to that treat we talked about earlier. Choosing the right clothes for cleaning might seem insignificant but it actually helps massively to get you into the mindset to start the task at hand. When selecting your clothing make sure you go for comfortable and light clothing that is easy to move around in. I would advise against wearing tight jeans as they will restrict your movement when you need to get into awkward tight spaces. You could even buy clothing specifically for your cleaning day. For example, a pocket Tabard to place small cleaning accessories such as clothes and detergents. Oh and don’t forget to buy some gloves. 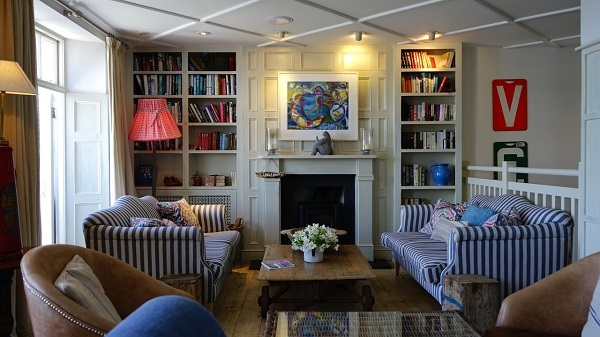 If you keep putting off cleaning for another day, try to envisage how good the house looks when it’s spruced up and smelling fresh. How will you feel when you’re surrounded by a clean living space? Good right! Remember to seek inspiration from home magazines and plan accordingly to keep the actually day focused and productive. You’ll be grateful when it’s done and your guests will compliment you as your efforts won’t go unnoticed. Don’t worry if you don’t enjoy cleaning, you’re not unique. Everyone experiences this in one way or another. Use the tips describe above to make cleaning less harder than it needs to be. Motivation will come to you much sooner and before you know it, the house will be spotless in no time at all. Thanks for reading and happy cleaning day.